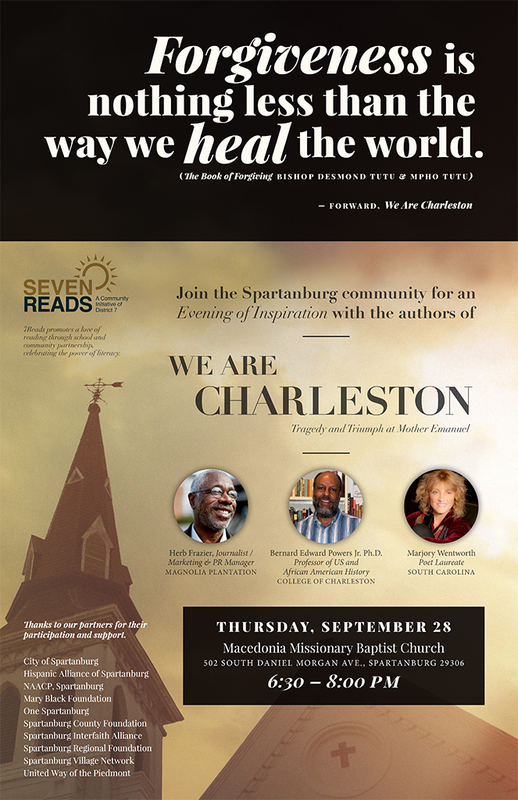 See the attached poster for the We Are Charleston event this Thursday, September 28 at Macedonia Missionary Baptist Church, 502 South Daniel Morgan Avenue, from 6:30 to 8;00 pm. Hope you can attend. « Reminder of Times for Yom Kippur Services	» Come Raise the Sukkah!